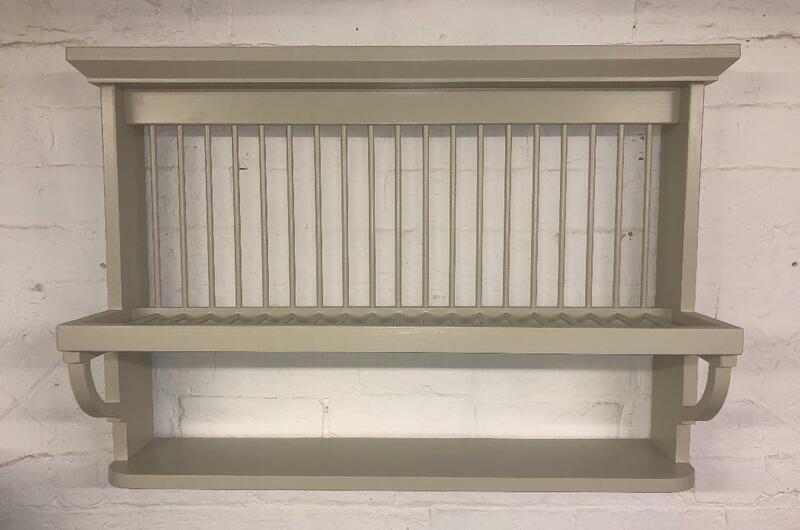 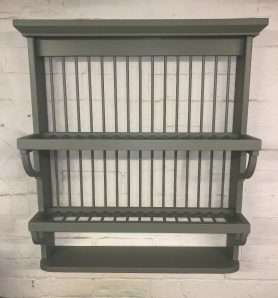 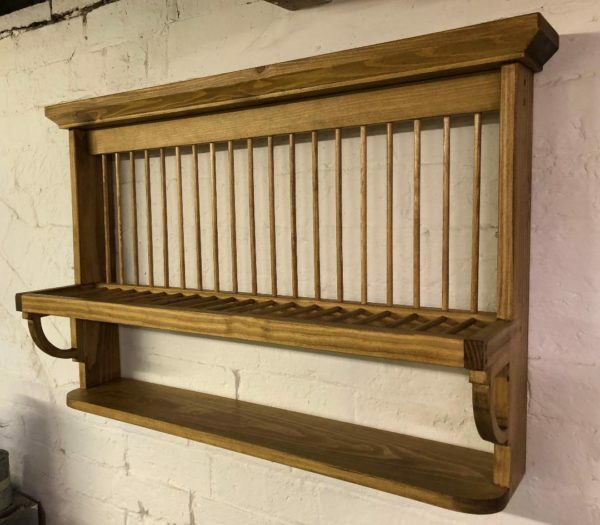 The Cheltenham plate rack has the benefit of having shallow sides so is not as imposing as some of our deeper sided racks. 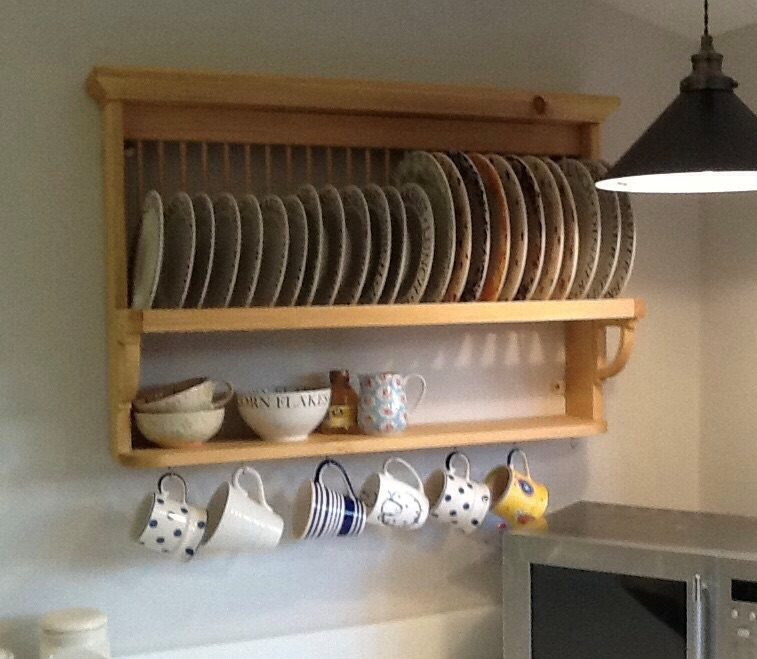 The Cheltenham will take 20 plates of any size up to 30cm, as it is supplied with an adjusting bar. 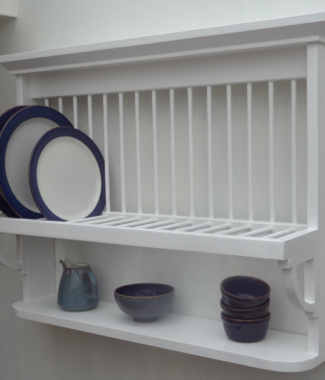 The plate tier is supported by our hand carved supports and sits above a generous shelf measuring 16cm deep and tall, ideal for bowls and other kitchen items. 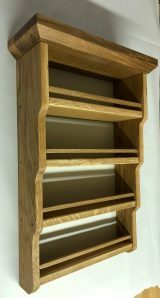 The top is finished with a simple chamfered edge. A 70cm wide version is also available, as is a double tier. 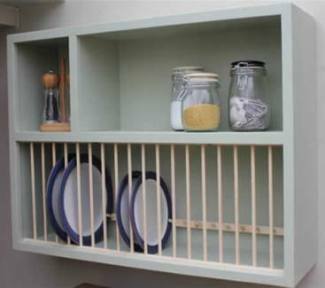 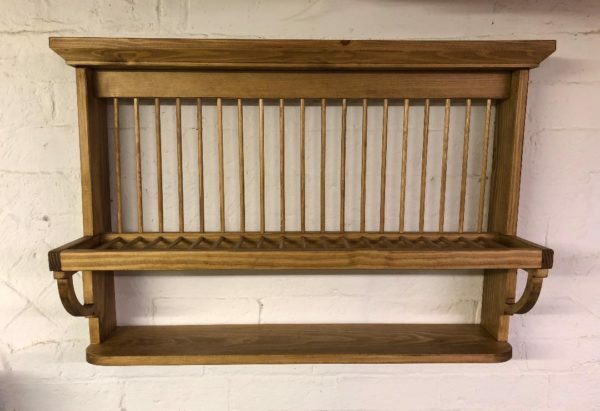 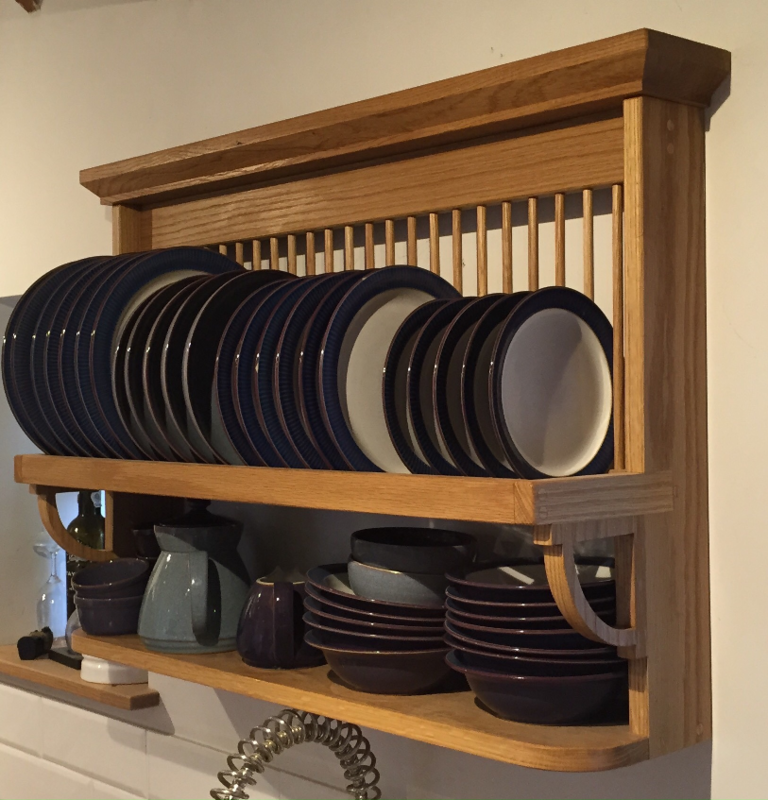 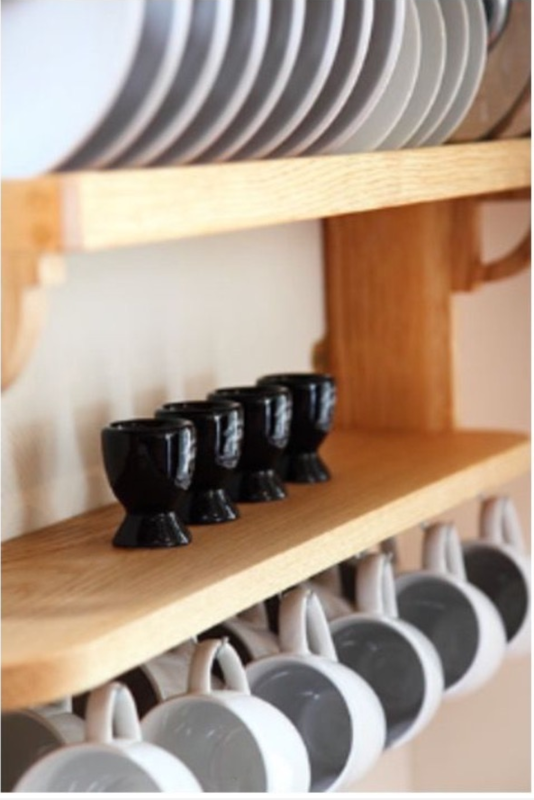 The oak plate rack is constructed from 100% solid oak. 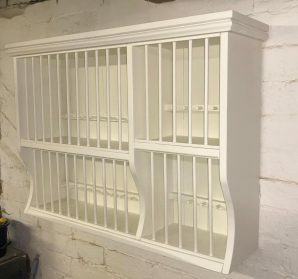 Comes complete with wall fixing plates. 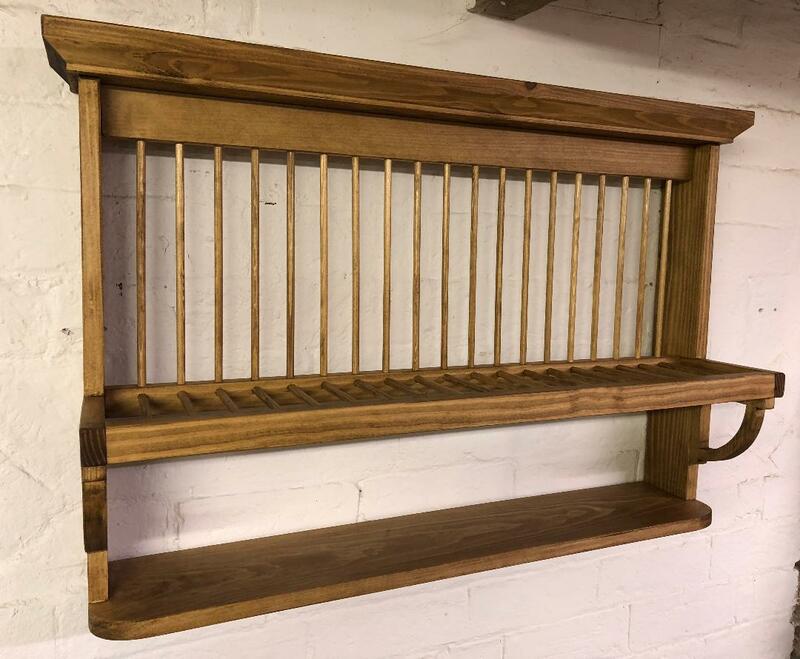 plate rack arrived safely and looks beautiful. Thanks for great service and a wonderful addition to our kitchen.